CHAMPAGNE TASTE ON A BEER BUDGET? While others are fixing up in this price range you will be enjoying a lovely 2BR/1BA, 1,500 sq. 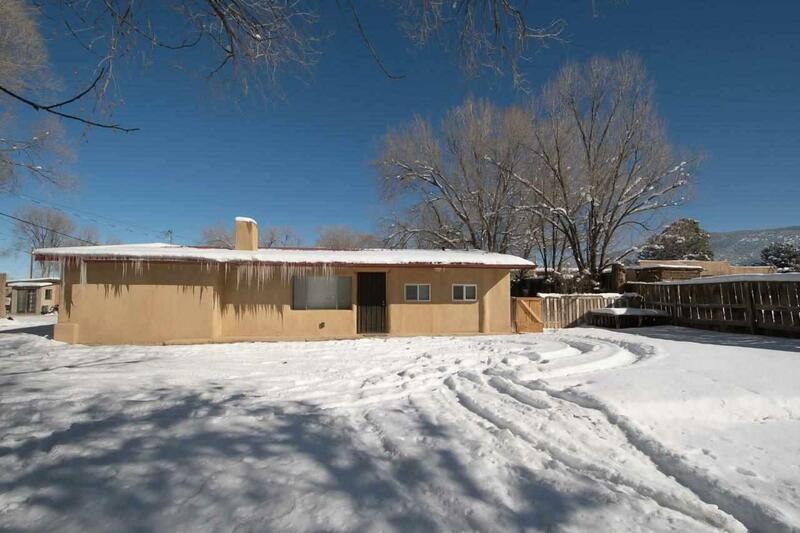 ft. adobe home with generous family room, den, or interior studio where everything is done. 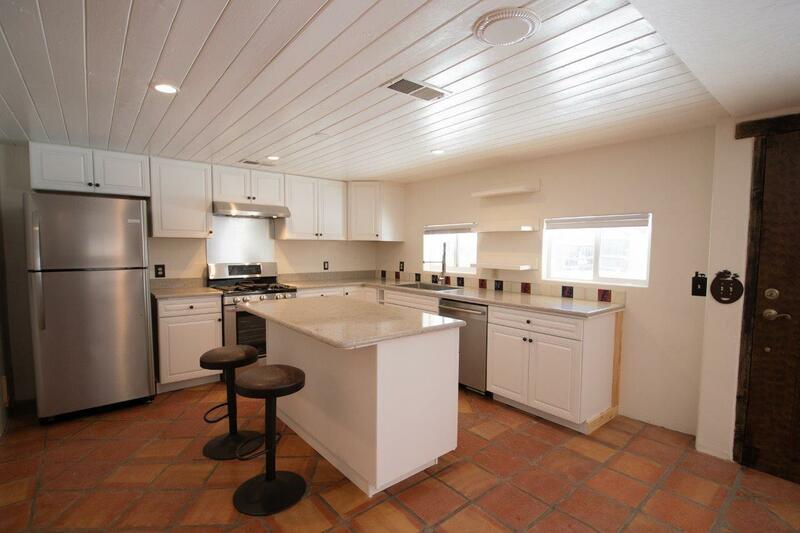 You will love the major renovation of the kitchen with new stainless appliances like the LG stove, Bosch dishwasher, and Frigidaire Refrigerator as well as a deep stainless Giagni sink. The kitchen island provides seating and storage and all counter tops are quartz and all cabinets are good quality, new, and there is a lot of them. While others are traipsing to the laundromat, you will be appreciating the large, bright laundry room. Of course, the bath was tastefully remodeled too. The heat source is natural gas, but you have other choices too. 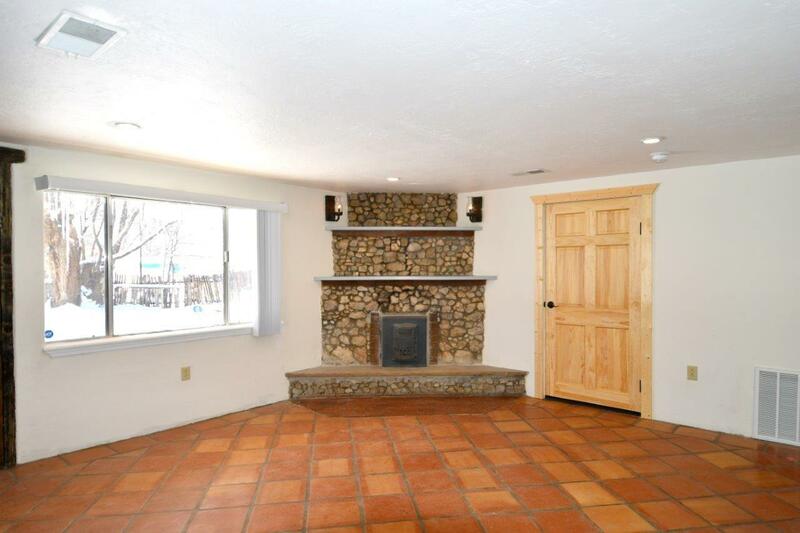 The unique rock fireplace in the living room boasts an attractive woodstove insert and flagstone hearth. A large interior family room/den with a corner kiva fireplace could be THE place for a media room, a deluxe office, or just relaxing with a book by the fire. 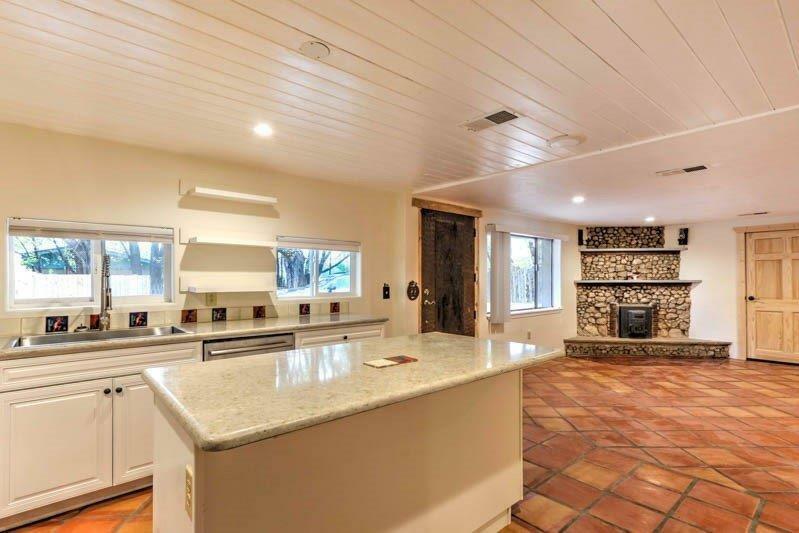 What you cannot see is the all new electrical and plumbing work throughout, but you will notice the new stucco color coat, some interior tile, new doors, and new wood trim around windows and doors. There is also a fenced yard for privacy or for pets or both. The roof is metal so while others are shoveling snow from their roofs or patching canales, you will have time to play. Located in colorful Talpa, you have a true feel for the real Taos with old adobe haciendas sprinkled amongst the working folk. USFS is nearby for hiking, fishing, or hunting and Sipapu Ski Area is right up the road. (Taos Ski Valley and Angel Fire Ski area are under 1 hr. away) Taos Country Club for golf is 15 minutes away as is shopping in town. The world-famous San Francisco de Assisi church is down the road as are restaurants and galleries. This home is ready for occupants to move in and pop the champagne cork!! Note: This will be hooked up to Community Sewer as soon as ground thaws - in the Spring.